My, how Charlton hearts have lifted since Saturday’s home win against Yeovil! The confidence gained will hopefully see the Addicks through their next spate of games, starting at home against Brighton on Tuesday night. With Southend away the opposition on Friday, it will have been a busy week for the Charlton side, and the squad will have been stretched to the full I’m sure. While manager Phil Parkinson would have liked to have kept an unchanged side after the weekend win, it does seem that that will not be possible, following groin injuries to ‘keeper Rob Elliot and also right back Frazer Richardson. Elliot has been a bit of a wounded soldier in recent games, picking up a back injury versus Tranmere, then a hand knock against Swindon. While those two injuries failed to keep him out of the next game (even if the dodgy back did force him from the field), this one might it seems, and Darren Randolph will be on stand-by to start, with Jimmy Binks as bench back-up. The injury to Richardson is less of a surprise, as he took time out on Saturday to put on some jogging shorts in an effort to keep his groin strain warm; whilst this was a sense of amusement to some at the game (it’s always funny when footballers take off their shorts isn’t it? Ask Terry or Cole! ), this did suggest a problem which has now surfaced. Chris Solly will almost certainly step into the breach, although it is possible that Jose Semedo could play at right full back too, should Richardson miss the game. The rest of the team looks like it may be given another run out in the hope of continuing the form shown against the Glovers; whilst it took time to gel, once it did the players looked quite comfortable and could easily have gone on to win by more. With a third game in six days to come, I would hope that Parky may rest some of the key players once sufficient lead has been won (if it can be), and that should mean game time for Semedo at some stage, plus possibly Akpo Sodje, Leon McKenzie, and/or Scott Wagstaff. Subs from Binks, Semedo, Clark, Mambo, Sam Sodje, Spring, Shelvey, Wagstaff, McKenzie, Akpo Sodje. As I’m going on holiday and will not be able to post a review of the Brighton game, or a preview of the Southend or Stockport games, I thought I’d tie these matches all together in one post. All three games are winnable, and if they are won then that should be enough to catapult Charlton right back into automatic promotion contention. All of the opposition are closer to the bottom of the table than they would comfortably like, and Brighton showed they have fight when taking a point from Leeds at the weekend that could easily have been all three. They will be without Virgo – a key player for them - who was sent off late in that match, but have dangerous forwards in Murray and Forster. Stockport won their first game in 17 matches on Saturday, and we have to hope that this is a mere blip in their awful season. Southend meanwhile went down 3-1 at the inconsistent MK Dons, and they are just a point above the relegation places now. Since we beat Stockport and Southend in December, both clubs have sold their best players, with Baker leaving County for Coventry, and Barnard joining the Pardew revolution/revolving door in Southampton. Both teams should therefore be weaker than when we played them previously. Pedro45 will be back just prior to the Millwall game, but may not have time for a preview of that match; I will therefore include that in my predictions which are that we will win against Brighton 2-0; win against Southend 1-0; beat Stockport 3-1; and draw at the new Den 1-1. If Charlton can achieve this set of scores, then the clubs above the Addicks will really start to feel the pressure of the run-in, and that can only benefit Charlton. Of course, should Charlton slip up against any or all these three teams, then the glances back over our shoulders at the other play-off contenders will look like a nervous twitch. I cannot really have a separate player to watch covering these games, so my one-to-watch while I am away is going to be manager Phil Parkinson. Parky may well have to juggle his squad as the games come thick and fast, starting tomorrow, and provided he continues to pick as settled a side as possible, and provided he doesn’t tinker with the tactics too much, we should be in a fine position for the last few weeks of this tough season. It has to be 4-4-2 from here on in; it has to be Bailey in central midfield; and it has to be two wingers (at the start of matches at least, in all three aspects). The only thing that can stop Charlton if we start to play better is injuries, and we do have enough squad depth to cover most positions now. I have been on holiday in the past and Charlton have lost every game while I was away (5 matches in 1994 I think); I’ve also been on holiday and Charlton have won every time, without conceding a goal (5 games in 1998…). It would be lovely if they could win both games while I am out of the country this time, and set up a really good fixture at Millwall that could be the catalyst for promotion. We have to believe! PS And yes, the beach where I am going is better than the ones at both Brighton and Southend! A deserved win for the Addicks, as goals from Kyel Reid and Dave Mooney in each half made a welcome change. It wasn’t all one-way traffic though, and but for three excellent saves from Rob Elliot in the fist half, and two more good ones in the second half, Yeovil could have been a different proposition. Both sides had early chances, with Elliot denying the visitors after a slick passing move allowed a forward to burst through. Elliot stood firm and blocked the shot away. Minutes later, a great dummy by Mooney saw Nicky Bailey waltz through the defence only for his shot to be blocked and then cleared too. With the home crowd starting to turn, or go very quiet, depending where you were sitting, a tackle from Bailey won the ball and it broke to Reid well inside his own half of the pitch. With players left and right of him, he chose to go alone and smashed a great swerving shot that the ‘keeper could only parry into the top corner and at last Charlton had the first goal of a game. Tactically, the side took time to settle, with Mooney dropping significantly deeper into a link role between the midfield and lone striker that was Deon Burton. When Burton held the ball, he brought Mooney into play, and when the ball was played shorter to Mooney, he was able to feed the wingers, or midfield of Therry Racon and Bailey, or turn and move forward to link with Burton. This was a revelation when compared to the number of times Mooney has been caught offside when running the channels. It also took some discipline from the defence, who had to pass the ball to feet (or chest if it went up to Burton) and the recalled Miguel Llera was excellent in retaining control and possession through accurate passing. The only person who seemed to give the ball away regularly was Bailey, who often looked for a harder pass than was needed. The defence was generally firm, though the left back issue still had some problems as debutant Johnnie Jackson was caught too far forward on a few first half occasions. Jackson looked good going forward, and was confident to take corners and free kicks, and his display did settle as he concentrated on doing the right things rather than trying too hard to impress. Lloyd Sam went close when he fired just over the bar after cutting inside and Elliot saved another one-on-one when Bowditch beat the offside trap. Yeovil then almost equalised on half-time when Alcock was unchallenged at a corner, but again Elliot beat the ball away. Early in the second half, Mooney scored after a quick throw-in deep into Yeovil territory saw Racon unmarked near the bye-line, and his pull back was swept in by the lively striker who had pulled away from goal and his marker (left). Charlton controlled most of the second half, retaining possession well, and Racon came more into the game as it went on. Burton also had a couple of close efforts, and his all round display was a vast improvement on other recent efforts. The pairing of Reid and Sam out wide on each flank also caused the Yeovil defence plenty of problems, not least when Reid volleyed a shot smack into Tudor-Jones nether regions (top pic). 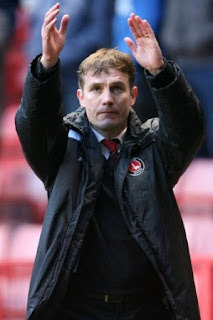 Phil Parkinson was quite vocal in this game, and it was good to see him barking out encouragement and orders while Charlton led, and the game finished with the home side unlucky not to increase the margin of victory. The referee was consistent, at least, though he was also very lenient, often letting obvious fouls pass in order to keep some continuity in the game, much to the annoyance of the Yeovil bench. He did book Christian Dailly for a blatant foul that stopped a Yeovil break-away, and one visiting player for the second of two quick fouls on substitute Scott Wagstaff, both late on. In all, a satisfying result and a much better performance, though not one that yet has the pulse racing. The 4-4-2 formation took time to settle, and there were gaps in defence that need addressing; but for Elliot’s fine saves, it could have been different. I’m pretty sure that the side for Tuesday’s home game against Brighton will be similar if not the same, but with a further game on Friday, others in the squad - like Jose Semedo, Chris Solly, Sam Sodje, Jonjo Shelvey, Akpo Sodje, and Leon McKenzie – will all get their chance soon. With the players that Charlton have at their disposal, a 4-5-1 formation is not hard to favour. Charlton’s strength over most of the games played up until now has been their midfield, and with players like Nicky Bailey, Therry Racon, Jose Semedo, Jonjo Shelvey and Matt Spring able to play centrally, and with wingers Lloyd Sam, Scott Wagstaff and Kyel Reid supplying the width, there are plenty of options. The biggest issue though is that the players who started the season playing this way have been worn down (and in some cases worn out!) and it is unlikely that we could switch back to the same guys who played those first half a dozen games without upsetting many others. 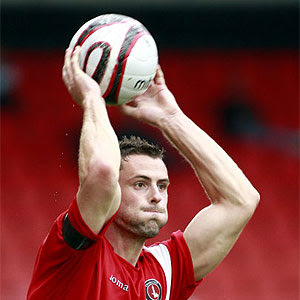 This may have to happen, but would Nicky Bailey continue to be happy playing out on the left wing? Can Jonjo Shelvey continue to get forward as he did in August and September and play up alongside and in front of the lone striker? Are Racon and Semedo in good enough form to warrant inclusion? And what do we do with Reid, Wagstaff and Spring? If we agree that Reid should be in any starting line up - even though he was not on Monday – then that means playing Bailey centrally. But can Bailey do the attacking role that Shelvey had pinned down early in the season. I’m sure he could, as he is such a good footballer that he will adjust to however he is asked to play. It should be remembered that it did take him time to adjust to playing on the left wing, and if he was now asked to play that much further forward the worry is that he may lose that ability to arrive in the right place at the right time, which is what he has now. I am one who doesn’t think Bailey is best suited to this role, and nor do I think he should be played as the holding midfielder, instead of Semedo, with Shelvey and Racon the more forward of the midfield. The whole point of this formation is to stop goals and protect the defence, and we all know Semedo is better at that than Bailey is (or any other Charlton player). Then the choice for that lone striker role needs to be thought out. Deon Burton did a great job early in the season, but then he got his hernia problem and he really hasn’t been the same player since. In recent games, Burton has been completely overwhelmed by whoever is being asked to mark him, and though he put in a decent cameo at Swindon, this was sandwiched between abysmal displays at Walsall and Bristol Rovers. Akpo Sodje was tried as the lone frontman at Swindon, but this was hardly a success either, as very little decent forward ball came out of the defence in that game. Akpo will do the role, and run his heart into the ground, but it may not be like it was in late summer. Dave Mooney isn’t very suited to the role, and nor is Leon McKenzie, the only other option, so the choice has to be between Burton and Akpo Sodje. If I were to pick a side to play 4-5-1, here are the midfield and attack – Semedo, Bailey, Shelvey, Sam, Reid, and Akpo Sodje. The 4-4-2 choice of formation is another that throws up many options within those players available. It’s Sam or Wagstaff on the right, and either Bailey or Reid on the left, then a straight run between Racon, Spring, Semedo, Bailey and Shelvey for two central positions. I don't see Jonjo doing a job out wide, and if he did, then aren't our natural wingers a better option? In attack, perm any two from the four strikers on the books. With a 4-4-2, you can either send it out to be attack minded, or defence minded; my view is that when we are playing at home to, say, Yeovil, like we are on Saturday, we should be attack minded, but when we play away at, say, Millwall, we may well decide to be a little less adventurous. It’s quite easy to accomplish with just a slight adjustment to who plays, and shouldn’t upset the team balance as some of the recent hysterical tinkering from Phil Parkinson has. My attack-minded midfield four would comprise of Sam, Semedo, Bailey and Reid, and my defensive option would be Sam, Semedo, Racon and Bailey. If we do play two attackers, it has to soon be time to give McKenzie a start in a game. Who knows what a run of ten goals or so over the back end of the season would bring, and I cannot see any of the other options being able to do that, can you? Burton is looking tired and worn out; Akpo is looking bemused and unsure, desperate for a goal; while Mooney is probably not sure what day it is after that clash of heads – maybe someone should tell him he’s Robbie Keane and see if that works? My own opinion is that you play either Burton or Akpo, alongside either Mooney or McKenzie. The defence meanwhile, needs to do its own job and start protecting Rob Elliot a little more. It is great to have Frazer Richardson (left) back, but sometimes he goes walkabout, and he should have enough experience to know when he cannot afford to do that. Sam Sodje is trying very hard, possibly too hard, and on his day he is such a commanding centre back; it’s just that he hasn’t been on top form recently. Christian Dailly started the season so well, and it was great to have a defender who could do just that, defend. Now Dailly is having to chase quicker forwards and losing the race, and he is another who looks a bit tired. The pneumonia he had at Xmas obviously hasn’t helped him much recently. At least at left back we have a new face who will start the game against Yeovil on Saturday - Johnnie Jackson, once of Spurs, has joined on a months loan for a month to play instead of Grant Basey. It is good news that Basey hasn’t broken his leg as feared, but as someone said, sometimes a break can heal quicker than the ligament damage that Basey has got – we will see. With no news of Kelly Youga being close to a return, Jackson will at least allow young Chris Solly some respite, and he is a cultured player from what I remember of him. Notts County appear desperate to get anyone on a decent wage off their staff at the moment, so Jackson may end up staying longer if Youga doesn’t recover, or if he does well. Subs from – Randolph, Solly, Llera, Racon, Shelvey, Spring, Wagstaff, Burton, Mooney. Yeovil come to SE7 having already taken a point from the Addicks this season. The weather down in Somerset on that day will go down in folklore, and the clothes worn may yet have to dry out. The wind blowing straight down the pitch made it a game that was played directly in front of the visiting supporters, and made each half quite one-sided, such was its veracity. I doubt it will be that bad this weekend, and certainly not from the forecast (which isn’t too bad actually), but Charlton had enough on that day to draw with ten men, and almost go on to claim all three points. Yeovil’s scorer that day – John Obika - is no longer with them, having returned to Spurs, and in fact, Yeovil have only won three times since they scraped that draw back in November (twice against bottom club Wycombe…). One time Ipswich youngster Bowditch is the goalscoring threat that Charlton will need to watch, but it looks like they may well come to play for another draw, and will be a team that needs breaking down. Pedro45 is going to forecast another win for Charlton –surely our luck will change soon? This time, I will stick with a 3-0 scoreline, and hope it very much comes true. Yeovil have been scoreless in three out of their last four games, and it’s about time Charlton got to the end of the match with more than one goal between the teams. 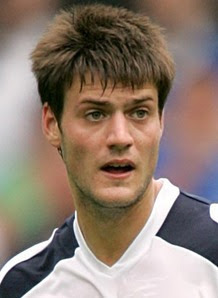 My one-to-watch in this match is going to be new boy Johnnie Jackson. I don’t normally pick new arrivals but Jackson could be a very useful addition, not only in defence, but also when going forwards as he packs a good shot and has good dead-ball delivery too. He has been playing regularly so should not need too long to get up to pace, and I doubt he will have too much of a threat coming at him, in this game at least. I still believe that Charlton need to go for it, and not rely on others for results; a positive team choice, playing a positive formation will bring a positive response from the crowd on Saturday. It has to be the way. Charlton lost in front of the Sky TV cameras again, and were left battered, broken and frustrated by the home side in another dismal performance. Dave Mooney was the battered player, suffering a horrific clash of heads which left him with a golf-ball size lump on his forehead, while Grant Basey was broken – his ankle snapped by a poor late challenge after just 12 seconds of the match. It was desperate luck for the Welshman, and now means he is unlikely to feature again this season. The rest of the side were simply frustrated (left) - by lack of ability, tactical nous, and form. Whether the early injury affected the players I do not know, but the team played with a lack of confidence, and were hassled and hustled into errors regularly. The first goal was conceded from another corner after fifteen minutes of play; the ball was flicked on at the near post and whoever was meant to be marking Rovers centre half Elliot wasn’t, and he had time to fire a powerful volley past his despairing Charlton goalkeeping namesake. Charlton huffed and puffed a bit, with Nicky Bailey shooting whenever he had the opportunity, and Akpo Sodje saw two headed efforts come to nothing, but it was the Addicks ‘keeper who kept the team in the match with fine saves from Heffernan and Lines. The midfield battle was very definitely lost in the first half, and the forward players saw little of the ball for any length of time. Although Lloyd Sam had a couple of good runs, most of Charlton’s good work in that opening 45 minutes came down the left through Bailey. Dave Mooney replaced Akpo Sodje at the break, which either suggested that Akpo was injured or Parky did not like the fact he had missed two good chances; if it wasn't this, then why did Parky pick him to start in the first place? Mooney brought more movement, but with the inept Deon Burton totally overwhelmed by two big defenders, Mooney had little support. With half an hour left, Parky went for broke and played the usual card of removing Jose Semedo in favour of a more attacking player; this time it was Kyel Reid, who came on to play on the left with Bailey moving inside. Almost immediately, Heffernan burst free and this time Elliot could not save the one-on-one situation, and Charlton fell two goals behind. With this lead, the home team seemed happy to concede possession for the first time in the game and sit back and soak up some pressure. This allowed Therry Racon to start to influence the game, and he at least strung some passes together now where he had been unable to before. Mooney was helped off with fifteen minutes to go, and the ten men battled on, with Sam supporting Burton centrally whenever he could. As Lines had also been carried off (with a self-inflicted knee injury), there was plenty of added time at the end of the game, but the ten men struggled to get possession, and it was into the 97th minute that Racon half-volleyed a late consolation goal for the Addicks from the edge of the penalty area (left). The game hinged on big moments, and there was none bigger than that opening tackle which did for Basey; had Blizzard been rightly sent off (as everyone on TV agreed he should have), it may well have been a very different game. As it was, the same problems Charlton had a couple of years back are surfacing, as the management tinkers with the team in an effort to find the right formula. At this stage of the season, we should be playing our best players in their best positions in a set formation. I don’t mind if we go back to 4-5-1 with one leading the line, but we should not be dropping the guy who has been our best player in the last three games, or switching the next best player out to the wing. Pedro45’s opinion is that we need to run with 4-4-2 for the rest of the season, and that means also playing with two wingers. We may concede more goals, but at least we might look a little dangerous going forwards on occasion, which is something we do not at present. The danger is that Charlton are now going to be that "seventh" club – the one that misses out on even the play-offs; from automatic promotion candidates to also rans in just over a month. Why? Monday night sees Charlton live on TV for an away game at Bristol Rovers; it is a chance for the Addicks to shine, which is something that may be a bit foreign to them. 2010 certainly cannot be called a vintage year so far, and even if it does end up promotion to the Championship, the last few weeks will be recalled only as a low point that the team bounced back from. The issue is just that the team need to bounce back, as they are in pretty poor form at present. The point gained at Swindon in the last game may look good on paper, but those that saw it (of which I was not one) claim that Charlton were very much second best, inferior, and lucky to get anything from the match. That followed another 1-1 draw at Walsall, who are hardly setting the division alight, and a similar score at home versus relegation candidates Tranmere. Prior to that was the home defeat to Orient, so it is four games since Charlton last won – the club’s longest winless run of the season in the league. This sequence of results has seen the club drop back from the front runners at the top of the table to become also rans, vying with other clubs to maintain one of the play-off places come the end of the season. It is not beyond the club to push on and get back to challenging for automatic promotion, but it really would take a very good run-in over the last sixteen games to get in front of either Leeds or Norwich. So what has gone wrong since the turn of the year? Certainly the enforced lay-off due to the snowy weather did not help, and since the thaw the pitches at everywhere except the Valley have been pretty awful – muddy and uneven. This has not helped Charlton’s play, or the teams confidence, as it is pretty hard for a skilful player to run along the pitch and try to kick the ball not knowing if it will be where he thinks it is when he started swinging the peg. The other thing that has hurt the team, is the constant switching of the formation and tactics; while I see no problem have a flexible squad that can be picked and played to suit certain conditions and opponents, the fact that manager Phil Parkinson is still searching for a best team in any game is worrying. We have good players, but they are either not performing, or not in the team. Hopefully the bad weather is now starting to recede (even if it is still very cold) and we should be OK in home games where we know the Valley will provide a decent enough surface. At away games, we may struggle, especially as Rovers are another of those teams (like Wycombe) who share their pitch with a rugby club. Parky will need to counter this problem, but first, he will have to pick the right personnel to get Charlton back into a winning mode, and that to me means playing our best players. It does seem that through circumstance, we have yet to play our best eleven (even allowing for Kelly Youga’s injury), and now we seem to have sorted out the problematic left side of midfield through the loan of Kyel Reid, the onus must surely to get the right personnel playing in the other key areas of the pitch. Nicky Bailey is best at supplementing the forwards and bursting forward from midfield, not at playing the holding role. This should mean a return for the club’s best defensive midfielder Jose Semedo, who has been left out of the last couple of matches. Similarly, Lloyd Sam is a better winger than Scott Wagstaff, and he too should come back into the team, especially as Waggy has had a couple of poor away games now and was hauled off at half-time in Wiltshire last time out. With these two changes, the whole team is stronger, and you can vary your tactics around them, with Therry Racon, Jonjo Shelvey, Akpo Sodje, Dave Mooney, and Deon Burton all vying for the two remaining starting places. Burton’s inclusion is an interesting point; since he was sent off on Boxing Day, his play has been fairly lacklustre, and this resulted in him being rightly dropped for the Swindon game. In that match, Parky ran a variation of a 4-5-1 formation, hoping to over-run the midfield and counter attack quickly; this tactic failed, even though in glimpses it showed that it could have worked. With Rovers being a lot weaker than Swindon are, it would surely be folly to retain a system that did not work if the club really want to win? I’m hoping that the positive spin put on that game and in reports since means that Parky is going to revert to two up front, thereby restoring Burton and appeasing those that said he shouldn’t have been dropped in the first place. With this tactic, and with Semedo coming back into the side, it does mean that either Shelvey or Racon or both are dropped, and this comes down again to hard choices - we cannot play all of our squad in every game. We could switch back to Burton leading the line on his own, but one of the reasons that the team was set up this way early in the season was because of a lack of alternative options; now we have options, and I do think that we must start with two from Burton, Akpo Sodje, and Mooney. If we get the forward line-up right, then the lack of a clean-sheet can by ignored for another week or two. Subs from – Randolph, Solly, Llera, Spring, Shelvey, Racon, Wagstaff, Dickson, Mooney. If Charlton don’t attack the home team, then that will only give Bristol confidence, especially after two recent home defeats gave left them almost no chance of making the play-offs themselves. Rovers main problem at present is the number of injures that they have, and their best player –Chris Lines – is likely to be missing from the game. Goalscoring is also a problem, and they have drawn five blanks in the seven games they have played since Xmas, so maybe Chris Dickson may have a chance to go back and join them on loan at some point? Lines has scored three of the four goals they have managed since festivities, which shows his importance to the side. Pedro45 must be positive about this match, and I am going to forecast a welcome return to form and a comfortable 3-0 victory. This may sound silly after sounding the warnings highlighted above, but Charlton cannot afford to be anything other than positive now, and that may actually help matters over coming weeks. Playing it neat and tidy, and not taking chances is all well and good, but sometimes you just have to go for it and I think Charlton are at that stage now; it’s not all or nothing, as the play-offs beckon, but if we want to have a real go at catching those above us, bearing in mind that they are both having a wobble at present, then now is that time. My one-to-watch in this match has to be captain Nicky Bailey. The scorer of a point-saving last gasp equaliser last time out has been in excellent goal scoring form this season, even if some of his overall play can be erratic. With wingers on each side of the pitch to give the ball too, his runs into the area to get on the end of their product should allow him more efforts on goal, and I fancy him to carry on scoring in this match. The inclusion of Semedo would also free him from some (but not all) defensive duties, and he could play more freely than alongside Racon or Shelvey for instance. This will be Charlton’s fifth and last match in front of a live TV audience this season (bar any possible play-off matches), and the record one win and three defeats so far is not good, especially when you bear in mind that the club has only lost six games all season (three in the league, and one each in the three cup competitions). A win here will give us a positive record in live TV league matches this season, and that is what is required. Rovers are there for the taking, and we must put them in their place. Charlton’s third 1-1 draw on the bounce, and a very dramatic one too, as captain Nicky Bailey salvaged a point with an equalizer deep into injury time at the end of the game. This may have been a decent result against in-form Swindon, but the goal may simply act to cover up the short-comings of the team and squad yet again. Those short-comings are the lack of a natural goal-scorer and the reliance on spirit to win us through. Manager Phil Parkinson rung the changes again, with Grant Basey and Jonjo Shelvey back in the team in place of Chris Solly and Deon Burton. I have no problem with either switch, as Solly is young and does not have the experience of Basey, while Burton has not scored from open-play for over two months. I know that he brings a lot to the table in flicks and hold-up play, but Burton's position recently has been made tenuous by the lack of goals and even goal-threat; this side looked to set Charlton up in a 4-5-1 formation on paper. Lloyd Sam was not even on bench. My notes from the game, garnered from the Swindon commentary via CAFC Player, do not make for happy reading. Swindon dominated the first half-hour of the game, as Charlton completely failed to find any sort of rhythm or possession. Swindon hit the bar (Greer) from a corner early on, and then a home player missed an open goal when the ball hit his own player on the line and bounced free. Charlton were poor generally in this time, and though Swindon were playing well, you would hope that a team with promotion aspirations would do better. 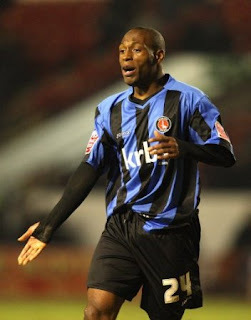 Frazer Richardson was being given run around by the winger (JP McGovern) and the midfield over-run; with only Akpo Sodje up front, the ball was usually simply coming straight back at Charlton when it was cleared upfield. Swindon had lots of corners during this time, which Charlton somehow survived, but the pressure kept mounting. It was at least 35 minutes into the game until Charlton started to play with any conviction, and after a good run and pull back by Kyel Reid, Shelvey hit the bar with great shot on the run, but sadly the ball bounced out (a long way). Reid then shot from distance, on target for a change, but it was saved by the home ‘keeper. Scott Wagstaff, who had had a very quiet game up till now, shot wide, and then, just before half time Swindon also shot just wide. Charlton had their first corner kick of game deep into first half injury time. Swindon had a terrifying 60% of possession in first half which shows just how much they dominated up to that point, while Charlton seemed to have to resort to strong arm tactics in order to stay in the game. Parky could obviously see that his game plan was not working at half-time, so he sent on Jose Semedo (for Wagstaff) with Shelvey moving to the right. This should have shored up the centre of the pitch a little, but his plans were quickly dashed when a clash of heads (with Greer) early in second half left Therry Racon needing his head stitched; there may have been some concussion too, as he was quickly replaced by Solly, with Basey moving ahead of the full-back. This loss of a player was better than Charlton's other recent record of losing goals at the start of the second period. Swindon reacted to Charlton’s physical presence by getting stuck in themselves, and first Basey was injured in a tackle, then a high tackle by Greer caught the head of Akpo Sodje. The referee was being lenient to both sides, when others we have seen this season may have started flashing cards. Charlton still struggled for any continuity, and kept losing possession too easily. A home corner after 65 minutes led to the ball being chipped into the penalty area, and after it was flicked on at the near post, Amankwaah knocked it into the back of the net to put Swindon one up. It was no more than Swindon deserved, and quite surprising that it had taken that long to see the first goal. Burton then came on for Basey as Parky attempted to get back into the match, and this did have an effect, although if it was Swindon taking their foot off the gas or Charlton upping their game it was hard to tell. Bailey had a shot saved after good run forward by Christian Dailly with twenty minutes left, but it was Reid who was most prominent in any Charlton moves of note during the second half. The home team seemed to sit back and think that the game was won, and Burton and Reid saw shots go wide, then Shelvey shot high and wide with five minutes left. 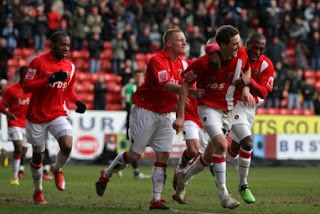 As the 90 minute mark passed, five minutes of added time were shown, and Charlton continued to press. A free kick to Charlton was headed wide by Bailey, then one of the best moves of the game saw the late equaliser - Sam Sodje powered a header down the line and Akpo Sodje quickly turned the ball inside to Burton inside the penalty box. Burton moved the ball on to the arriving Bailey who scored firmly in the bottom corner from 12 yards. It was dramatic, but thoroughly undeserved over the course of the game. More late pressure from Swindon failed to see another goal, and it was a great relief for the final whistle to sound. Before this match, I would have been happy to have settled for a point, so to get a draw is good; the bad news is simply that we are having to tinker with the team at each game in a desperate effort to find a formula that works. While you can understand this early in a season, it doesn’t look good in February. The amount of possession that Swindon had was enormous - even more in the second period than in the first half! The only positive I can hope for is that we have reached the bottom of the barrel and that the late goal by Bailey now gives the team some confidence, and they can take it forwards on a good run through to seasons end. There are plenty of question marks still for Parky and the team to answer, but at least we don’t have to worry about the teams spirit. Charlton go into Saturday’s match against Swindon in pretty desperate straits; sure, we may have only lost three games this season, but the current form is woeful, and only two wins from the last eight games is not good, especially when you take into account high hopes that we might win all of those games. This may seem like an over-reaction, and maybe it is, but if the Addicks are to chase a place in the top two – rather than grind out a play-off position – then the team must get back to winning ways at Swindon. I’ve thought long and hard about what might be wrong, and it is very easy to point out the failings of one or two players who are either off-form or simply never good enough in the first place. 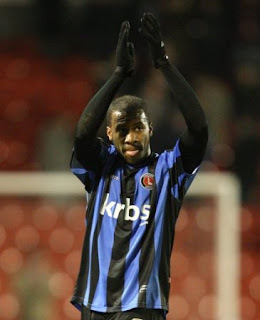 But that is about the only way to explain Charlton's current form - it isn't team related, it is player related. Ever since Andy Reid left Charlton, the left side of midfield has been a problem. While Nicky Bailey did an excellent job there for 25 matches either side of the summer, he wasn’t comfortable, and neither was the management. Bailey’s best position is in central midfield, but with surplus players for those roles, Bailey was shifted wide. Now we have Kyel Reid to play wide, the requirement for Bailey to move again is gone, so where else have the team suffered? Left back has been an issue ever since Kelly Youga stupidly kicked that Bristol Rovers player after clearing the ball back in November. His knee injury seemed innocuous at the time, but he hasn’t played in the three months since, and now it looks like he will be out for at least another month too. Grant Basey is, in my mind, a more than adequate replacement; he may not be the quickest defender, but he does have a sweet left foot, and when on form, is as good as any winger we have when crossing the ball. The problem is his defending and general loss of confidence, which has now seen him dropped in favour of Chris Solly. Solly seemed to do a decent job at Walsall on Tuesday but is he a better long term prospect on that side of the park (I’d always thought he might be fine at right back, but on the left I’m not so sure)? It would be stupid of Parky to drop him after one game, so Solly will definitely be in the team on Saturday. The biggest problem that Charlton have though, especially when compared to our competitors at the top of the league, is the lack of a natural goal-scorer. This shortage was covered up early in the season while Deon Burton knocked in a few goals, but, apart from penalties, Burton has stopped scoring and this to my mind is the next area of concern that Parky should address. Burton didn’t help himself by getting sent off in the home game against Swindon, but the simple fact is that he has failed to score from open play since 5th December (against Southend), nine games back. I now think that the hard decision has to be made to drop Burton, especially while other attacking options are available. Dave Mooney has come in for a lot of criticism, mainly because his recent partnership with Burton hasn’t worked, but at least he has knocked in couple of goals since Burton's last header hit the net. With Akpo Sodje now at the club, and likely to play so that he can win a contract at the club next season, Parky has options. These also include Leon McKenzie whose is still yet to start a game for Charlton since joining last August. Maybe it is his time now? Chris Dickson, meanwhile, now looks out of the equation once more, which will not cheer him one bit. Subs from – Randolph, Basey, Llera, Spring, Semedo, Shelvey, Sam, McKenzie, Dickson, Mooney. Swindon have been lucky recently; not only did they see two Charlton players sent off against them just after Xmas, but they were able to meet Leeds on the crest of their slump and give them a 3-0 walloping too. They will be thinking that now is exactly the right time to be meeting Charlton, and if they can repeat their other recent home wins, then they will be just five points behind the Addicks with three games in hand. They have won nine of their past twelve matches (drawing two), and haven’t dropped any points at home since mid-October (6 matches), almost four months ago. The biggest threat they have is the dual strike pair of Austin and Painter – who both scored in the Valley fixture – and young gun Austin has just signed an extended contract in an effort to keep poachers away. If the pair were playing for Charlton, I think it’s fair to say we might be top of the table! There defence can be dodgy, and Southend scored two late goals to draw with them on Saturday, so it isn't a forgone conclusion, hopefully. Pedro45 has little confidence now in the team, based on current form. I know that this will get better at some stage (pllllease!) but I’m not sure that this is the time yet, so I am going to forecast a 2-0 loss. I do hope I am wrong, but there isn’t all that much to give me hope at present. Parky has got to this stage of the season still not knowing who his best team are; apart from Youga, everyone is fit we are told, so to make four changes in a game as he did in midweek smacks of desperation. I would love nothing more than for it all to click into place and for the Addicks to run out comfortable winners, but I just cannot see it. My one-to-watch in this game is going to be new winger Kyel Reid. The East Londoner has been a breathe of fresh air in the last two matches, and he should get better still as he gets fitter and more used to playing for all 90 minutes. He is skilful and doe have pace to burn; importantly, he is a prime example to Lloyd Sam of how to attack his full-back and get a cross in early (not beat him fourteen times and then have the strikers standing still when the ball finally arrives in the box). I’m hoping that Reid can get better and maybe get his first goal for the club quite soon, as he had plenty of shots in midweek but all were off target. When you reach bottom the only way is up, and I hope that my mood about Charlton is on the rebound at last. I for one really don’t like play-offs, and I hope Charlton don’t sit back and think that all will be well if they finish between third and sixth; four teams go in but three come out unhappy. Both Leeds and Norwich are catch-able if the team goes on a run, and where better to start than put Swindon back in their place, well behind us. The fixtures start to get harder as the season goes on, so an improvement in form is due. Like a few other bloggers, I too had to endure the CAFC Player commentary for last nights game, and drew the line at listening to Emma Jones preferring to switch to the Walsall version. As Marco, Chicago, and Dave also mention, her commentary is so appalling that it is often better to switch to the home commentator (as I did last night very early on) rather than listen to her staccato spiel. And who was her cohort last evening? Nobody I’d ever heard of either, and certainly not near the caliber of Steve Brown, Bradley Allen and even Clive Walker, all of whom regular fill that breach. Without Emma, I was able to discern that Phil Parkinson made four changes to starting team – Chris Solly came in at left back for Grant Basey; Akpo Sodje started for Dave Mooney up front; Therry Racon (left) was asked to play in midfield in place of Jose Semedo; and Scott Wagstaff was on the right wing instead of Lloyd Sam. We all have our opinions, but to me, this wholesale change of personnel smacked of managerial desperation. It may well have been that some of the dropped players picked up knocks on Saturday (or in training) and needed a rest (though all made the substitute’s bench…), and we know that the team has been struggling to repeat the flowing football from earlier in the season with some players below par, but four changes in my opinion was certain to disrupt the flow of the team. I cannot really comment too much on the opening half hour of the game, as that was the time it took me to sort out my preferred commentary; nothing much appeared to happen, so it was a bit of a shock when Walsall opened the scoring soon after. Deeney put in a good header from early substitute Westlake’s cross and gave Rob Elliot, thankfully fit to start in goal, no chance of saving. The match had been trundling along up to that point, with Charlton having most possession and also a whole host of corners. Thankfully, the referee did seem to be favouring the away team (two first half Walsall bookings but none for Addicks), and a penalty was awarded in the 45th minute following another Charlton corner. The commentator called it as Racon being brought down by Vincent, though other reports think that it was Akpo Sodje who was felled. True to form, Deon Burton stroked home from 12 yards (left) and the teams went into the interval level. Parky’s half-time team talks don’t always seem to work, but I’m sure he mentioned that too many of the crosses put into the box by either Kyel Reid or Wagstaff or the full backs, or corner kicks by Nicky Bailey, were being claimed by the ‘keeper. This just wasn’t helping Charlton’s lack of cutting edge. Charlton’s habit of conceding an early second half goal and making any chat by Parky irrelevant nearly continued but luckily, it seems, the ref gave us some benefit when Christian Dailly appeared to bring down Byfield in the box. A Charlton player did get a yellow card when Reid stupidly kicked a ball away, but the game then quietened down with neither side looking much like scoring. Reid was the main thrust of Addick attacks, often running down the wing, cutting inside and shooting, but sadly his aim was often wayward and several shots drifted harmlessly wide of the goals. Akpo Sodje got on the end of one Reid cross after an hour, but that went wide too, and as he tired, Sodje was caught offside quite a few times. It was no surprise then, that Akpo was replaced by Leon McKenzie with 20 minutes to go. The 446 Charlton fans would have held high hopes of a victory when home forward Deeney was sent off with twelve minutes to go , though the commentators were unsure if it was for a second yellow card or a straight red for a professional foul?!? Whatever, the innocuousness of the challenge didn’t endear the referee to the home crowd any more than earlier decisions had. Reid kept surging forwards on good runs but a couple more shots went wide, and then Sam came on as sub for Wagstaff with ten minutes to go. With Charlton playing against ten men, there was lots of late pressure, but nothing that came close to scoring. Solly was taken off for Basey with just three minutes left, and though the Addicks pushed on during the five minutes of added time, no winning goal came. This was another very average result for Charlton, especially when we had a referee that seemed to be on our side for a change. The changes worked on an individual basis, with Racon, Solly, Akpo Sodje and Wagstaff all having reasonable games, but for the team, they didn’t seem to improve things very much. Aspirations amongst the Addickted seem to be changing from one of chasing automatic promotion to one of securing a play-off berth, which is sad after the start to the season we had, but understandable. The two teams above us seem to have sufficient breathing space (especially with games in hand), and so the onus is on Charlton to stay ahead of the chasing pack. They too are a concern, especially with tough fixtures to come against close rivals (starting on Saturday). Whether Parky sticks with the team he played last night or makes further changes we will see, but he does need to find that way-to-win soon, otherwise all the good work prior to Xmas will have been in vain. 2010 has hardly got off to a good start for Charlton; despite opening (if lacklustre) wins in the decade against Wycombe and Hartlepool, the wheels have royally come off in the last two matches where home points have been dropped against Orient and Tranmere. In a potential promotion season, that sort of form cannot be allowed to continue. The problem Charlton have is how to arrest it? Well, we know that the spirit in the Addicks camp is still good, and that spirit should have been bolstered by the news that Akpo Sodje is once more in the squad having been signed on loan from Sheffield Wednesday for the rest of the season yesterday. 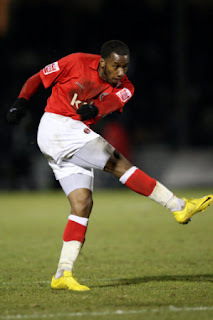 With Dave Mooney also secured on loan until May, Charlton have five forwards (the others being Deon Burton, Leon McKenzie and Chris Dickson) from whom to fathom out a partnership that starts to hit the back of the net on a regular basis. Izale McLeod is out of the picture at Charlton, with his loan at Peterborough also until May, even though it seems they were keen to send him back to SE7 for disciplinary reasons last week. We also have Kyel Reid on loan for the season, giving us a wide left option, and some balance at last. On transfer deadline day, there were no other major moves – which in itself is good for Addicks fans – and it also seems that Yassin Moutaouakil is going to be on the wage bill until June as he did not go out on loan once more. The implication of that is that Elliot Omozusi has not been retained on loan from Fulham (though I wouldn’t be surprised to see him return should Moots get shunted off elsewhere in the next few weeks). Dean Sinclair is the only senior professional (if he can be called that?) out on loan now, and so Phil Parkinson has shown his hand for the final 19 games of the season where he hopes to get into the top two positions. The difference from the early part of the season is the slight change in personnel at the training ground but hopefully still a positive mood; Dickson is now around, as is Mootaouakil, and they were shipped out for the early months of the season. I do hope that their apparently sometimes unsettling presence is not going to affect the rest of the squad, and with Mooney, Reid and the younger Sodje, we balance things out. I also hope that the feint rumours of a falling out between Mooney and Burton are untrue (but which I will come back to below). So if the spirit looks OK, how about the tactics? Well, Reid did help the team in some respects on Saturday, but to my mind, not in others. Whenever Nicky Bailey or Jonjo Shelvey has played on the left side, they have played in a quite narrow manner. Reid is one who hugs the touchline, and the issue was not that in itself, but how the rest of the team coped with a player being out wide on either side (with Lloyd Sam hugging the right touchline). The main problem for this Charlton team has been ball retention, and often on Saturday, the long cross field pass was preferred (and lost) when a much more simple short ball to the closer winger was a better option. The midfield pairing of Bailey and Jose Semedo must get used to this, and start to take the simple option as a matter of course. Reid and Sam both tracked back well, so we have no problem there, and the full backs (Grant Basey and Frazer Richardson) are both attack minded and offer plenty of support, which is good. I’m not sure how many crosses came into the Tranmere box on Saturday - it was quite a few - but for some reason, Charlton didn’t look at all dangerous from most of these. To me, Burton has been well below par so far in 2010, and maybe the signing of Akpo Sodje will give him the kick he needs to get back to scoring goals again. Whoever plays also needs to work with his partner, be that Mooney or McKenzie (or Dickson, though this is less likely now). When Mooney signed initially, he worked hard and really benefited Burton, but now there seems to be some conflict and a lot of poor body language between the two. They really need to sort things out, and if Burton is not going to help both Mooney and the team, then he needs to be rested. It may be that his hernia problem has reared its head once more, and that needs to be managed by Parky, especially with so many games coming up over the next few weeks. We have also been tactically short in midfield, where the pairing of Bailey and Semedo has been questioned. Personally, before the signing of Reid, I would have switched Bailey back to the left, with Therry Racon brought into the team, but that isn’t an obvious option now. Playing Racon for Semedo to bring some creativity would not work in my mind, so we are going to have to get used to our centre midfield starting games and being changed if we are struggling to win. If Bailey and Semedo play the easier ball, often out wide, then their own lack of creativity will be less obvious. Racon, Shelvey and, to a lesser extent, Matt Spring offer different options from the bench, and with two wingers starting, and other forwards being available, any switch from 4-4-2 to 4-5-1 or back again is certainly within Parky’s black folder of Charlton tactical options. 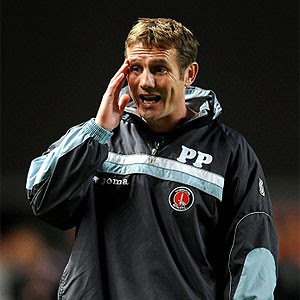 So to the Walsall game tonight: with everyone fit (bar Kelly Youga and maybe Rob Elliot), how will Parky set them up? I think he will have no option but to go for the win, and hope that a similar Charlton team play significantly better than they did at The Valley on Saturday. If they don’t, then he should have substitute possibilities that haven’t been disrupted by losing your goalkeeper in the first half. The official website suggests that Elliot may be fit after going off with what seemed to be a leg or back injury on Saturday, but I think that we may well see Darren Randolph included, with Elliot rested for a few more days or asked to do the bench duties. Subs from – Binks, Elliot, Solly, Llera, Spring, Shelvey, Racon, Wagstaff, Sodje A, McKenzie, Dickson. Walsall struggled to play any sort of football either side of Xmas, mainly because all their games got postponed during the cold weather. Their now famous braziers stood smoking away on the Banks Stadium pitch, failed to do a job for long, and game after game was called off, twice when visiting fans had already arrived. Charlton were one of the teams to suffer the journey but not a game, so will be hoping to pay the home team back for the inconvenience. Since returning to action after their month off, Walsall have lost twice (both 2-1 home defeats) and scraped a goalless draw at Gillingham on Saturday. When they arrived at The Valley back in August, they looked a very average team that basically came to keep the score down, stuttering to a 2-0 defeat. They have strikers who have goalscoring reputations (Parkin, once of Swindon, and Byfield, once of Rotherham), so will need to be watched, and an on-loan centre half who is very tall (think Northwich…). Hopefully the Addicks players can cope with anything thrown at them and come away with all the points? Pedro45 really wants the boys to respond to a poor run of results by going out and winning, but my fear is that the loss of confidence may take a while to shift, so I am predicting a 1-1- draw. Charlton are capable of winning (in much the same way that they beat Brighton or Orient or Stockport or Hartlepool)), but sometimes luck is against you; please not tonight! My one-to-watch is not going to be Lloyd Sam for a change, but this game will be Sam Sodje. The older Sodje (left) was unlucky to score an own goal on Saturday, and you could see him desperately trying to put that right soon afterwards. Provided he stays on the pitch (he's been sent off twice this season so far…), he is one of the better central defenders in this division, but he now needs a run of games in the team where he can show this. He is likely to have a big centre forward to mark during the game and a big centre half to mark at corners, so his springy jumps will definitely be needed tonight. He also has the knack of being threatening in Charlton attacks, and I’m hoping he can do a job tonight and keep himself ahead in the Sodje family goalscoring stakes. After three home games come three away games, and if the pressure of the Charlton support is lifted it might make the team play better. This is one of those games that, due to circumstances, will have veritable few Addicks supporters in the ground; I’m sure they will give there committed support, and I hope that the players respond and give them something to cheer. It won’t be a surprise for the Addicks to win tonight, but then again, if we lose, I doubt many will be shocked either. Hopefully, the team can gain the right result, and start to put a winning run in the record books.